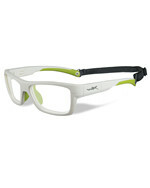 The Matte White Frame with lime green contrasting color at nosepiece and rubber temple tips is the unique CRUSH model. 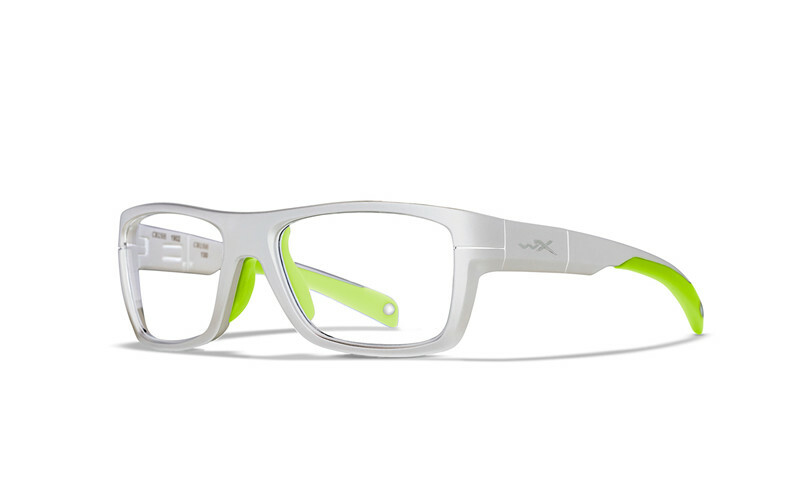 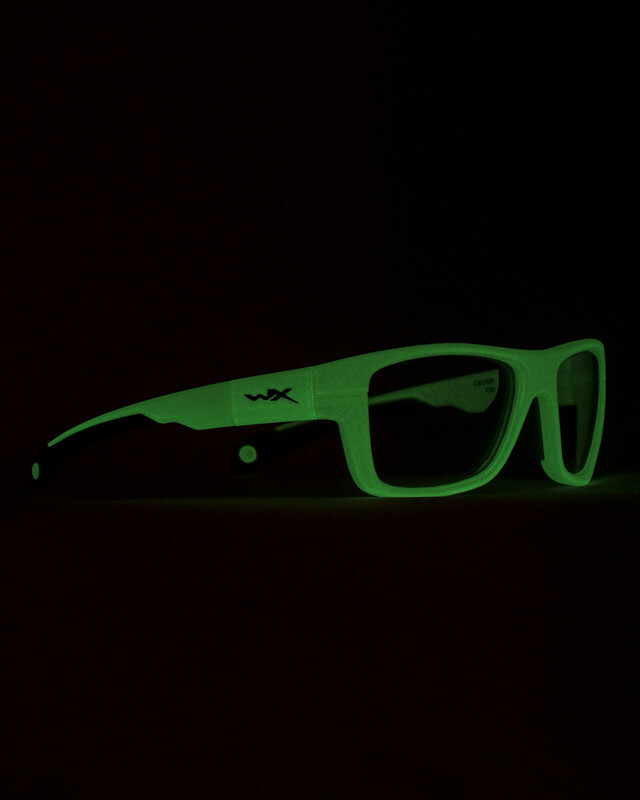 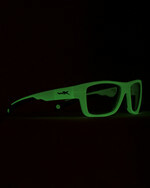 The Matte white frame glows in the dark, which makes it even more exiting to wear! 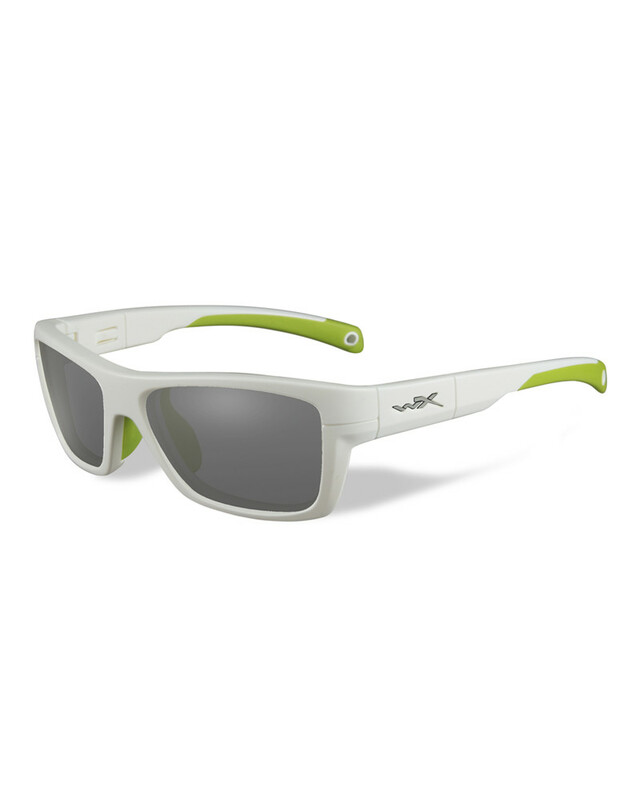 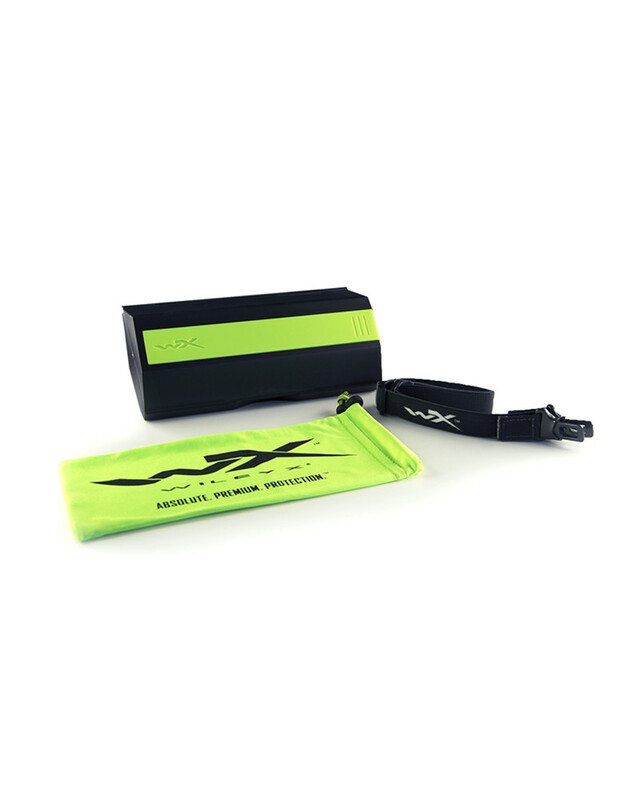 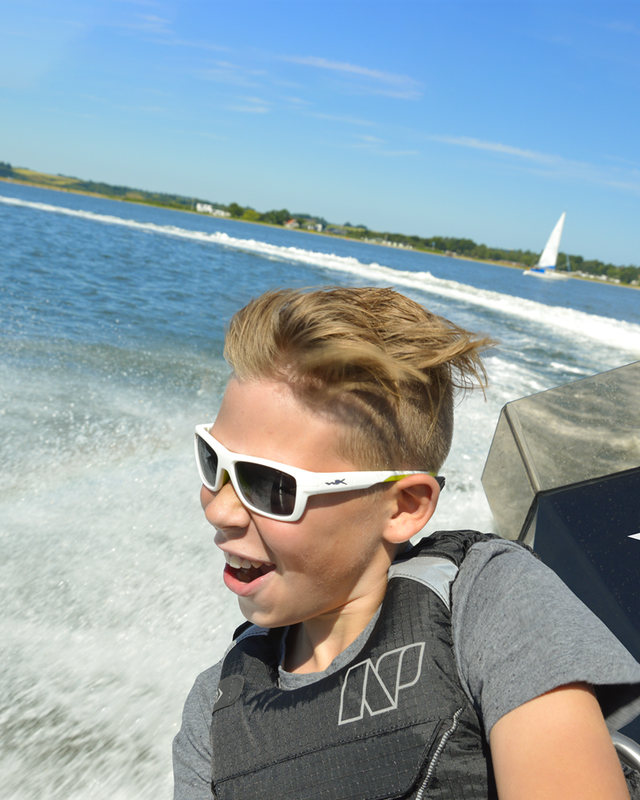 The WX CRUSH appeals to all active kids who are engaging their favorite spare time activity - protected and cool looking. 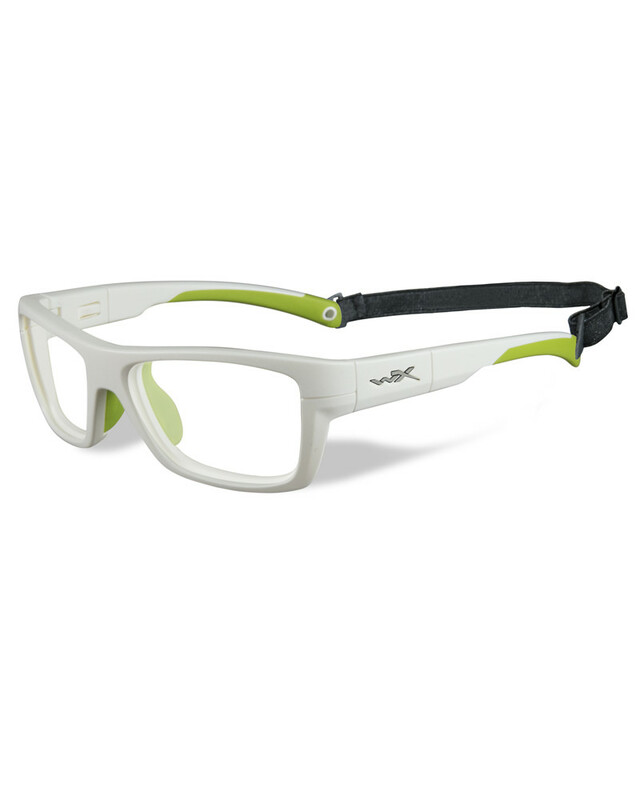 The Wiley X CRUSH sports eyewear is a full-rim frame and available in five stunning variants with flashing contrasting colors at nose piece and temples.